MAXIMIZE YOUR IMPACT WITHOUT LOSING YOUR SANITY! Say “NO” To Being Overwhelmed and Underachieving and Get More Done In 1 Year Than Others Do In 5! 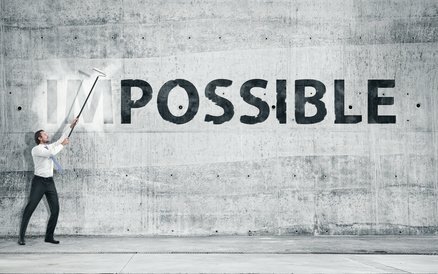 Have you ever felt like you want to make a bigger impact faster, but instead you keep being sucked into a whirlwind of disruptions, constant change and overwhelm? You are not alone! Research shows that 87% of people think they could be significantly more productive. A daily reality for many is that they are drowning in email, stuck in dead-end meetings, and constantly interrupted in their work. Being overwhelmed is ruining your potential, sabotaging your creativity and limiting profits. The estimated cost of lost productivity is between $450 billion to $550 billion per year in the US alone. It’s time to end the rat race, take control of your life and find balance between work and life. It’s time to turn the corner, reclaim your power and step into living a life of significance. Impact Academy is specifically designed to make this happen. 3 years ago we launched iAcademy as a place where entrepreneurs, mid and high level managers across different industries from around the globe gained critical skills to use their time and effort effectively. This released them to repeatedly hit their numbers and goals because they understood how to utilize every working moment and enjoy the downtime. We are proud to have members from across 4 continents. Our programming is unique and transformational. We create fresh new content each month, addressing the current major challenges our members are facing. We provide a safe place for leaders to build necessary skills, character, and habits to turn their businesses, organizations and teams into highly effective units that constantly deliver. Our members are leading the innovation game in their respective industries. We focus on 3 key areas: leadership, teamwork and systems to help you tap into your best potential and achieve the highest impact. Each module has been thoughtfully created and contains real-world applications. Let’s look closely at each of them to help you understand the importance of this program for your personal and career growth. Just because you’re at work doesn’t mean that you’re getting work done. Leaders around the world are stretched beyond capacity, which severely limits their ability to finish the task at hand. One of the key areas we’ll focus on during iAcademy in 2018 is helping you increase your leadership capacity to manage your time, energy and resources with the highest effectiveness. We’ll keep you focused on the core components and principles of strong leadership helping you stand out in the sea of distractions and fight against the feeling of being overwhelmed. This year we will look at the key challenges leaders face and help you become a better leader, increase your influence with others and make a bigger impact in your workplace or community. If you want 2018 to become a year of transformation and improvement, we’ll help you make it happen. Leaders understand the power of teamwork. They see and utilize potential of others, inspire others to join them in their work and multiply the amount of things that can be done. They understand the importance of genuine connection with people around them, whether we talk about teams, stakeholders, clients or vendors. We’ll show you how to find the right people, improve communication, workflow and ultimately the results. Once this is achieved you can accomplish your goals faster and with less stress. Thankfully these principles can be applied to any industry and those who will implement strategies we share, will be on top of the game. There are plenty of tools and resources that can simplify the way work is done. Problem is that many leaders don’t take time to create, automate or innovate internal processes. As a result, there are major inefficiencies, delays, last minute emergencies, resulting in overwhelm and frustration. One of the areas we’ll be focusing on this year is therefore going to be systems. We’ll look at the key systems you absolutely must have in place to improve business processes and reclaim your sanity. Some of the systems we’ll focus on this year are hiring, onboarding, internal communication, social media, and more. Silvia walks, talks, lives and breathes strategy. She has kept me focused and on track, which has saved me time, money and energy. The best part about working with Silvia? She gives me a sense of clarity that enables me to make and carry out good strategic decisions. She inspires me to implement quickly because that’s what she does. Oh yes, and she makes everything so much fun! Thank you Silvia. Impact Academy is designed to help you refine your skills so you can create revolutionary results. Don't just LIVE your life. Make a difference! IMPACT ACADEMY IS NOW CLOSED! Impact Academy is closed, but sign up below to be the first one to know when the spots open up. This program is for leaders at a higher leadership levels inside of organizations and businesses of any size or industry. You are a business leader who either owns a business, impacts business decisions, or you lead teams and impact bottom line of the business. If you are at this level, VIP tier will be perfect for you. If you are looking to learn and improve, but you are not able or ready to significantly improve your business or organization, CORE tier will be great for you. You will gain enough resources and insights to get your feet wet and prepare you to join us at a higher level later. Stop waiting for the right time! The time is NOW to stop the procrastination, take a step forward in the right direction, and start building your legacy. Well, there's nothing more standing in your way. You can start operating at that level today. You see, something remarkable happens when you're being productive and achieving your goals... You feel more confident, more satisfied and free. You are not seeing the results that you know are possible ...There's a gap between your potential and your reality and you're ready to close it. You are playing too small a game ...You're ready to step up your game and make a difference you know you were meant to do. You keep buying resources and trying different tactics without seeing the desired results ...It's about time to STOP doing things the way others do them and discover your own brilliance! You are suffering overload ...You feel overwhelmed with all the requests on you and you know it's time to shift things around and stop the madness. You are already overextended and you want to lift performance ...To make a bigger impact, you will need to do some reshuffling in your priorities, activities and your calendar. But you're more than ready to do so. You want direct access to Silvia ...You've been following me for some time now waiting for the day to come when you will be able to work with me, but you're tired of waiting and ready to make the shift happen. If you wasted enough time on activities that didn't produce results you wanted and you are ready to step up your game and turn from excuses to achievements, you MUST take action now. A famous Chinese Proverb says that the best time to plant a tree was 20 years ago. But the second best time is today. How much more important is your life's purpose and IMPACT you can possibly make with your life? Join me on a journey to your BEST IMPACT today! PS: I look forward to helping you make a significant difference in the midst of distractions! 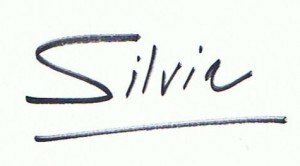 Silvia is the voice of experience. She has led teams of up to 250 people and organized the events for up to 1,000 people while trailblazing hundreds of innovative projects and initiatives around the globe. She has worked with governments, nonprofit organizations, corporations, entrepreneurs, and individuals across four continents. Silvia's projects are delivered on time, on budget, and continually surpass expectations of her clients. She specializes in changing the status quo and making a way for transformation to happen... while bringing teams and leaders along. Led 500+ training programs with an average satisfaction rate of 97%. Led and delivered a groundbreaking initiative in a tough environment which still operates and serves the community 10 years later. Helped a key leader with poor department performance to become the #1 leader in his organization within 1 year of working together. 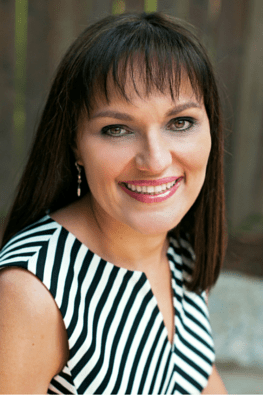 Helped a struggling and overwhelmed CEO cut through the clutter, regain focus, rediscover her vision, and step to the next level with a renewed passion and energy. Moved customer satisfaction rankings from poor to excellent in less than 10 months. Shifted employee engagement in organization from 10% to 100% within 4 months! Continually transformed failing initiatives in nonprofit and business sectors into winning projects, which helped businesses and organizations to save money, keep their best team members and turn business leaders into rock stars. Silvia doesn't just talk the talk, she walks the walk. She is a systems expert with a passion for innovation, she is always full of ideas and creative solutions to help bring your next initiative to life. Silvia can be the support you need in your business endeavours to help you optimize your achievements. I absolutely love your iAcademy. It has helped me fine tune my schedule, put my energy where it counts & has simplified my life so that I enjoy my family, 2 businesses, homeschooling and farming. I have been able to make it work with your help. Thanks so much! I like your materials. I am going over this lesson tonight. Thank you for this class, Silvia! It’s truly transformational! Thanks so much for all that you do. You really invest in people. My business profits tripled over the past 3 months. I am so glad that I have found you. I watched your video this past Monday. With the tools that you have showed me I was able to work everything well and be with my family. My brother was diagnosed with stage 3 multiple myeloma – this bone cancer was in his back. I was able to plan for this and not feel frazzled with. I was with my parents and him helping out. Everything with my business still ran smooth. Thank you for showing me how to run my business instead of being its slave! I could have never done it without you! Thank you Silvia for all these modules and challenges over the program. It has forced me to focus on myself and to be more intentional about what I do with my time, experience and planning for the future. It’s been a challenge to answer the questions – especially at first – but as I’ve done it a second and third time I’ve seen more things and been able to identify areas that I need to work on to improve. Silvia is a great coach and thinking partner who challenges you to do things differently and uplevel as a leader. I highly recommend her for leaders who want to improve results for themselves or their company. LOVED the strategy that you gave because it made sense to me and it’s something I can easily implement. It was like putting the last nail in my marketing/promoting. Thanks Silvia for this month. It was really priceless to learn about our clients and how to best serve them with our products. I hope to review everything again here. ? WOW WOW I can’t believe how amazing those past months were. I was sooo stuck yesterday and that Creative Process FREED me! I’m serious! Thank you for being so generous with us.